Today’s Rhino takes a stab at understanding Federal Historic Preservation Tax Credits for income producing properties and how it relates to the long-awaited opening of Greensboro’s International Civil Rights Museum. But, I suspect, the article had only enough information to make people suspicious of what had to occur to finish the project. As the name implies, such credits are only available to qualified, historically significant, income producing properties against Federal taxes owed on income of the owner. Since a non-profit, such as Sit In Movement, Inc. doesn’t pay income taxes, it had to sell the property to an entity that does to capture the credits. In this case, that apparently occurred back in August when the building was sold to Museum Landlord, LLC. Museum Landlord, LLC could then, and only then, make the tax credit funded capitol investments in the property – within strict guidelines outlined by the Secretary of the Interior – and capture the tax credits for themselves. Museum Landlord, LLC was then free to “syndicate” their tax credits, or sell them off to other tax paying entities (individuals or companies) – at a discount, thereby marginally lowering the effective income tax rate for the purchasing entity. The National Trust for Historic Places is the leading agent of this syndication as well as the syndication of New Market Tax Credits, which may have also been utilized for our Civil Rights Museum. The money made from this “syndication” is then invested into the historic property in the form of preservation related improvements. That is, in no small part, how the Museum’s board was able raise the balance of the $14M needed to finish the project. 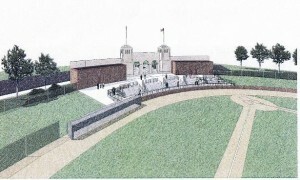 Back during the “baseball wars” in 2003, proponents of War Memorial Stadium tried valiantly to explain that just such an arrangement could be utilized to raise the funds needed to renovate the place. People just couldn’t grasp the concept nor get past the fact that the publicly owned stadium would have to be privately owned during the period when the tax credits were being captured (usually 7 years) and then, like the Museum will be, reverted back to the original owners. That arrangement is still available for WMS… or any other designated historic property in Greensboro. The work my company performs always qualifies for not only Federal, but also State Historic Tax Credits. Around 1/2 of our business comes from tax credit qualified projects. Good suggestion. I’m in, but unsure how to go about it. Sounds like it might be time for the Spag/Roch partnership to reconstitute. Meanwhiler, downtown Greensboro’s meanest lapdog continues to dig himself a hole big enough to bury a multistory hotel, should the need arise. I’d do the same thing if I were Dennis Quaintance and Mike Weaver…. and then some. If a bunch of influential people got together, with the assistance of government, and were looking to start a company that will be in direct competition with my niche-market, self-financed and struggling-in-this-economy window restoration business – I’d be doing a lot more than just asking for the information that got the upstarts – who know little to nothing about the window restoration business – to the brink of becoming my direct competitor. At a minimum I’d be planning a march on the buildings that house the governments who are enabling the threat to my company’s future and the livelihood of all of the people who work for me. Quaintance and Weaver’s inquiry, as with all of the other inquiring that has been going on for weeks, has nothing to do with race, but everything to do with governmental accountability, project viability and fairness to the privately owned entrepreneurial entities that could very well lose a lot of business if this thing goes off as planned. And lastly, as today’s N&R article so clearly points out: any insinuation that Mike Weaver is motivated by racism in trying to slow this thing down is ludicrous. Sadly, though, such insinuations are par for Greensboro’s course. So, not only did the P&R Commission’s recommendations get ignored in the rush, but so did the City Manager’s warnings and urgings. This I know: The three-pool-design of the Swim Center, and the number of other amenities and specifications that finally went to bid, were driven by the owner (City of Greensboro). The architects (TFF Architects & Planners) were charged with designing what the owner wanted. That’s just the way it works. Someone, with kahunas made of steel, submitted a ‘want list’ to the designer that was obviously – even to a layman – way out of whack with the available money. Just as obviously, the private sector – aka the competitive swim community – has either failed to pony up as expected, or, was told not to make the effort because of an abiding confidence that funding for the overage would materialize, as is now happening. I’m guessing all of this happened shortly after the steel-kahuna-laden War Memorial Commission stole the Swim Center from the Parks & Rec Department and was given the go-ahead to “fast-track” the project (read, develop and implement without public scrutiny or input). My company has 9 employees, one of which (that’d be me) is the combined Human Resources, Accts Payable, Accts Receivable, Sales, Payroll, Purchasing and Collections departments. Needless to say, I’ve got a lot of free time on my hands. Recently, I realize that I’m also – by law – an unpaid collection agent for any arm of the government who has dibs on any portion of my employee’s earnings. Employers were long ago assigned to the unpaid role of collector and transfer agent for their employees federal and state income taxes, Medicare payments and Social Security contributions. I can see the appeal of this for the agencies involved for two reasons: 1. They have more centralized accounting than they would if each employee was required to submit a check every pay period for what they owe, and 2. Everyday citizens would start monthly armed insurrections toward the government if they had their money in their hands for a short period and then had to subsequently part with it in a pro-active manner. Taxpayers are shielded from the every-pay-day shock of realizing how much they actually owe and are dulled into compliance due to the hands-of sterility of the transaction. The pleasure of paying their taxes is assigned to me. By forcing employers to withhold and transfer taxes for the taxpayer, we, the employers, become the un-remunerated, bad guy, pay day collector – the government just rolls in the dough and threatens the business owner with penalties, and even prison, if we don’t do their bidding exactly when they bid it. Wage garnishments – same thing. Child support payments withheld – same thing. And all without even the courtesy of a call from some bureaucrat saying, “thanks for your help with this“, or, (in my dreams), “here’s a $200 tax credit for helping us out every two weeks – we couldn’t do it without you“. Hell, they don’t even provide me with a postage paid envelope to mail them their damn money, within seven days… or else… by penalty of law. What’s worse, if I don’t do as they say – I’ll become the bad guy. This just ain’t right. The government has a sweet deal when it comes to collections. All they have to do is find that you employ someone who owes them money, and little ol’ me is transformed into an unpaid money handler for “the man”. As the debate surrounding funding for Greensboro’s proposed swim center heats up, I thought a little background might be in order. 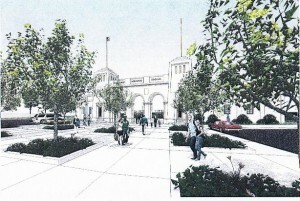 July 9th, 08 – Parks & Rec Commission votes (PDF, p5) to send a $20M list of projects to City Council. The swim center is not on that list. 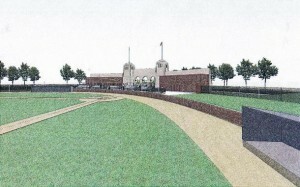 July 11th, 08 – City Council ignores the recommendations of the Parks & Rec Commission for the prioritizing future bonds. A $10M Swim Center is recommended by Council. Read the comments. Later that month – City Council votes to add a – now $12M – pool bond to the surprising P&R bond. Sam Heib recaps the events. November 4th, ’08 -The day before the vote, silence as a strategy for bond passage. If you look back on it, $20M was always the price tag for a “Regional Swim Center” and Greensboro is backing into that number slowly but surely. People are pissed at the process, and rightfully so. Nobody likes anything getting shoved down their throats, even if the thing being shoved might end up being good for them. From what I’m hearing about mayor-elect Bill Knight’s preparations for taking over the reigns of running the City Council meetings, one of the things he is doing is preparing a seating chart for the dais. He is also getting briefed by city management as to the stark differences between public and private financing and accounting. One Council member I spoke with yesterday has the impression that Knight will be initially operating as if he has received an electoral mandate to change the Council world. Good point. Knight will need to keep in mind that he is only one vote and only has a short 1 1/2 years until he faces an East Greensboro electorate that will not sleep through the next Council election as they did last week. With that reality looming, Mayor Knight is going have to reach across the the proverbial isle if he has any designs on winning a second term, much less accomplishing anything of substance during his first. I was standing next to Bill Burckley at the Old Guilford Courthouse tonight as the precinct results were coming in. As we were speaking, the numbers for Greensboro’s mayor came around and showed Yvonne Johnson leading Burkley’s charge, challenger Bill Knight, by a little over 350 votes with only six precincts left to count. Sure enough, when the numbers cycled back through, Bill Knight pulled ahead and a roar went up in the courtroom. Knight won his first ever election by 964 votes city-wide. After this stunning win by an almost unknown mayoral candidate, preceded by Trudy Wade’s defeat of Sandy Carmany two years ago, local political consultant Bill Burckley’s retainer must be paid by any Greensboro hopeful who is serious about gaining a spot on our City Council. Second in the king-maker role this time around is undeniably the Hammer Brothers of Rhino fame. Eight of their nine picks ended up a winner this term suggesting that their pulse-feeling fingers are more sensitive to the mood of the local electorate than that of the N&R’s who endorsed six of nine.